Elida and Seth, AVANCE-Austin Triple P participants. Your support is helping Elida and her family put positive parenting solutions into practice. Elida and her family are currently enrolled in our 10-week Triple P (Positive Parenting Practices) program. Each week, Elida and her son Seth are visited by Parent Educator/Home Visitor Nancy Ramirez. Together, Elida and Nancy have identified some of Seth’s social, emotional, and behavioral characteristics. Intervention levels, risk factors, and challenges Elida faces were examined and goals were set to incorporate new parenting strategies. 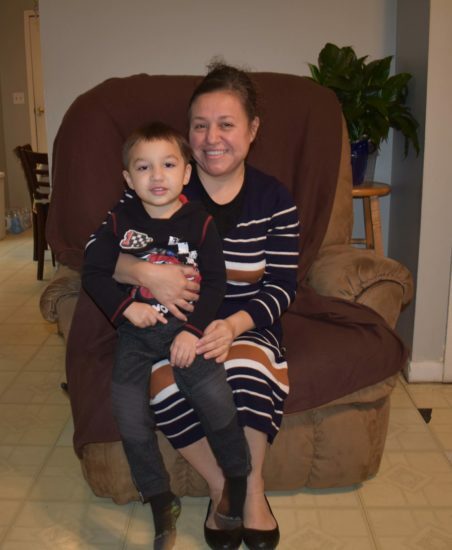 Goals for Seth’s self-care such as becoming “potty trained” before he enters Kindergarten, feeding and dressing himself, along with not fighting with his siblings were set. Rules of the house are set! 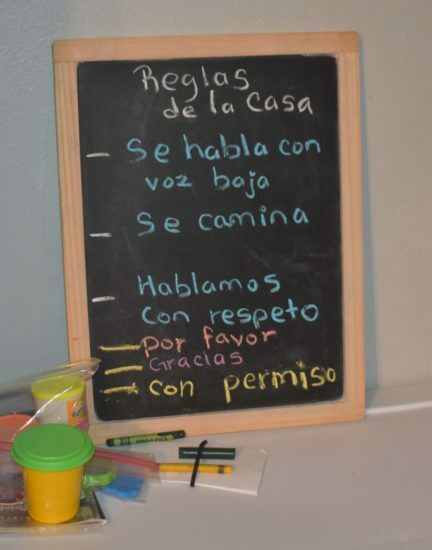 An overall “Rules of the House” sign has been placed in plain sight for each family member to see every day. Organizational bins are used throughout the house to keep toys tidy and cause less distraction to Seth and his siblings. 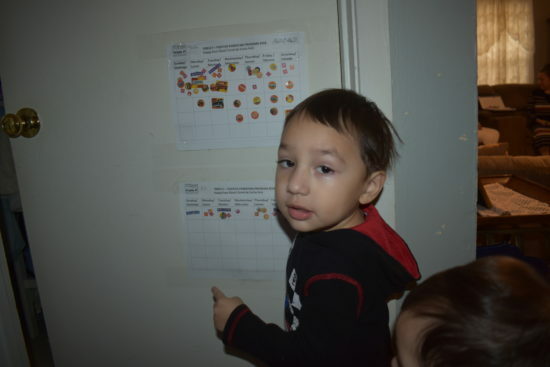 Elida has switched Seth’s diapers for pull-ups and created a bathroom schedule with sticker chart to help keep track of Seth’s daily success. Seth was so proud of all his stickers! Seth proudly shows off his potty-training stickers! With only a couple weeks left of the Triple P program, Elida has seen an amazing transformation in herself and Seth. “My kids used to scream a lot at one another and it was always so loud in the house. Sometimes, I would even yell from another room for them to do something. But now, I take my time to explain everything to each one and they listen. I now have quiet nights and it’s peaceful. AVANCE has helped us so much,” said Elida.